As Brexit Britain appears headed straight for a chaotic exit from the European Union, its universities are raising questions about their future with growing alarm. The consequences which post-Brexit nationalism will have for universities, students, and scholars are hardly being discussed at all. Brexit and the concurrent increase in jingoism on the street raises questions about the extent to which British universities may continue to be an attractive choice for foreign students. What message should the UK broadcast on this issue? Negotiating Brexit – A Clash of Legal Cultures? Membership in the European Union was a contract, and the differing legal approaches between situational British common law and the more codified French approach helps explain some of the rancor as Brexit comes to be applied. Social Science Works, a new German-based international think tank, launches a product to assist decision makers in evaluating the quality of social science research. 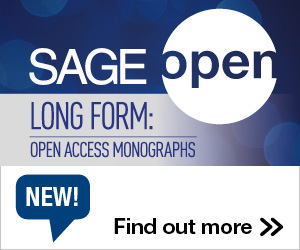 SAGE Publishing is providing free access to a range of academic research which engages directly with the Brexit referendum and its potential impacts or gives a background on the UK-EU relationship. Addressing the consequences of the “prolonged period of uncertainty” in the three months since the Brexit vote, the Academy of Social Sciences and Campaign for Social Science recommend immediate steps the government should take to support UK science and ensure the “long-term health of research is kept to the fore” during the negotiation process.